It is possible that could be the problem I had. Insufficient data with it over too little time? It is hard if not impossible to be rigorous with every vape. I took a hit a friend loaded, thought it tasted horrible AND was really harsh :vomit: So that is where the bias came from. I don't think the Omni Xl tastes great, but it is certainly acceptable to me. My one (admittedly insufficient) observation with the M created a bias. In contrast, after the first hit I took off the Omni right out of the @VapePartsMart box, was quite nice and exceeded my expectations. I like the way it never got hot to the touch like the M did.... no warmth on my lips.... the M gets hot and stays hot I guess? Not a dyna expert but a newbie with newbie's perceptions. I do not find my M hits horribe nor really harsh, ever, unless I combust by accident. I don't feel capable of judging Omni perfomance without trying it, but I shall not feel capable either if I've only try once. I do consider myself a newbie vaper too, but my M hits are one of the more satifsying vaping experiences I've ever had so far. And that, by itself, means a lot for me. Like size, shape, will you use water, want one that wont tip over easy? Also, will you use other vapes with it? Then.....for your uses and vapes....pretty damn hard to beat the stereo matrix. A single matrix like the one I use or a side car would work well too. woah. So for the second one right? Its like Legos basically ? I can attach other ( fitting ) glass on to it? Adding on to it? Basically young sauce....rigs revolve around 14mm and 18mm glass joints of either male or female types. There are 10mm ones...but those are more associate towards mini banger rigs and small bubbler needs. That one I showed a link to is cool for a few reasons. It can be used normal without the ash catcher...or with it.....with water in the ash catcher or not.....or water in both or both dry. The ash catcher could also be used with a j hook to make a smaller rig (something I would totally try). But for the price....that is a great deal for all of that. Otherwise.....just get the stereo matrix like Bud and many of us use. This rig will cool pretty well...and handle powerful vapes. 1.The G43 fits into a 18mm female joint. So to use it in a rig that has a 14mm joint, you just need to get an 14/18 adapter like the one Bud has in his shop. 2. If you do get a glass rig with a 18mm joint...the G43 can fit on it without an adapter. But having a glass rig with a 14mm rig on it allows for your Mighty adapter... I am guessing that is a 14mm joint? 3. 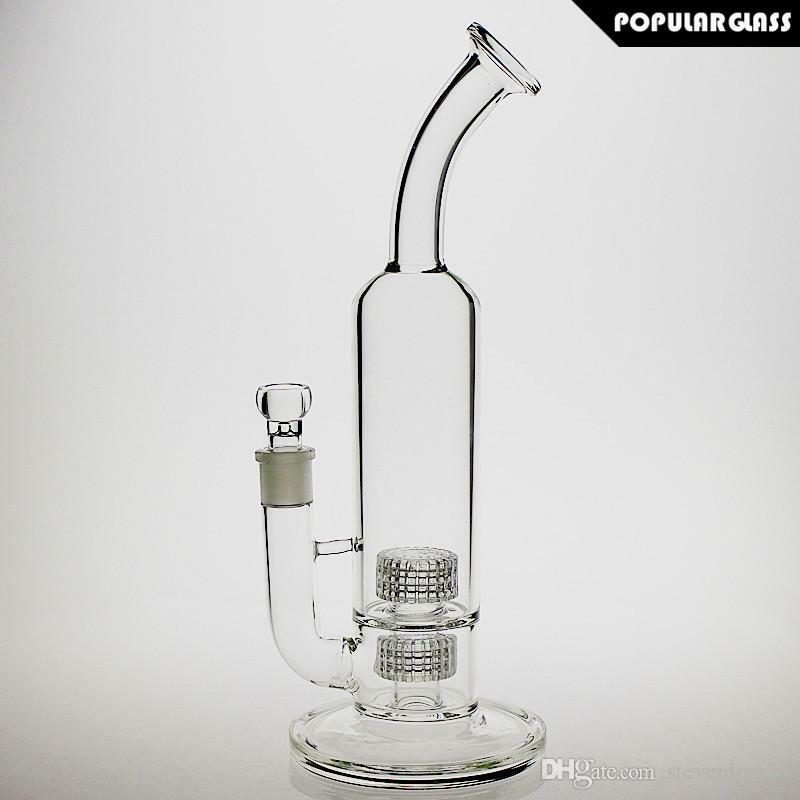 You save going with DHGate...and there are very reputable sellers there we can suggest, but if you want the security of getting glass in the US....your going to have to spend more or maybe not have as many choices in what you want to spend. I am trying to find some US sellers with the knock offs...but not sure that is probable so far. Maybe someone else can suggest a good place to get a knockoff stereo matrix or the like. From DHGate....this is my fav place to get the stereo matrix. I like how the down stem is attached. first of all thank you for taking the time with such an extensive reply. i really appreciate it. i think im going with the legos :) i think itll be great with my g.
But on the realz the stereo matrix .. is that the one you’re talking about with the legos?? highly recommend it. The stereo matrix rig from DHGate is the one we recommend as an alternative to the NewVape one. It’s also the one we gave away during live streams here and there before we started official G sales when we had them. :ok: It’s an awesome piece, I really like it.